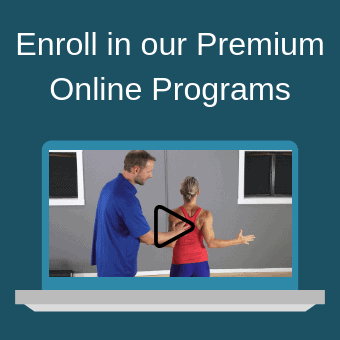 Neck pain is common, with a 1-year incidence rate of 11% to 18% in the general population. Neck pain can present with other symptoms including headaches, facial pain, shoulder pain, and arm pain. 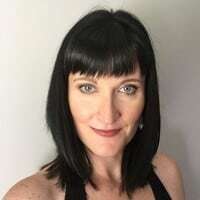 If you’re suffering with neck pain that’s interfering with your life, the good news is that most cases are benign and will clear up in a few days. However, there are a number of things you can do, from the comfort of your own home to get rid of neck pain faster including ice and/or heat, self-massage and stretching techniques. There are numerous causes of neck pain and stiffness. For the purpose of this article, we’ll discuss a few of the common culprits. –	Sitting at a desk looking at a computer screen for extended periods of time. –	Poor sleeping position (i.e. on your stomach or with your head positioned above shoulder level). –	Car accidents (i.e. whiplash). –	Sporting accidents (i.e. hits in hockey and football). These emotions can lead to neck tension and result in neck pain and stiffness. –	Herniated disc in the cervical spine. –	Degenerative disc disease of the cervical spine. –	Infections (i.e. osteomyelitis, meningitis). 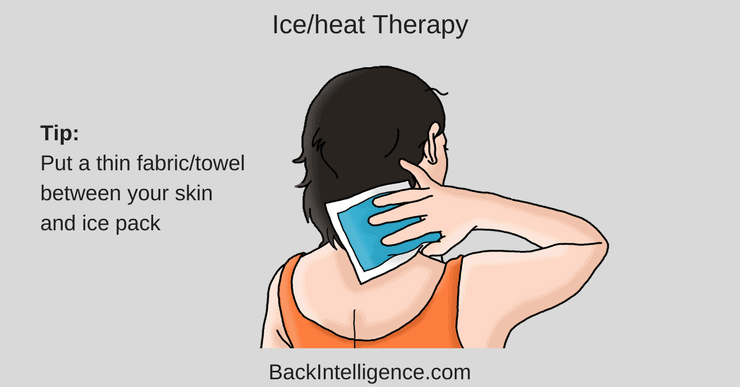 Ice and heat are valuable modalities to use when you’re suffering with neck pain. I usually recommend applying ice to the affected area for the first 48 hours in 10 to 15 minute intervals. This helps to reduce swelling and inflammation, and also helps to numb the area, thereby providing pain relief. After the initial 48 hours, applying moist heat to the area in 20-minute intervals helps to increase blood flow to area and promotes healing. 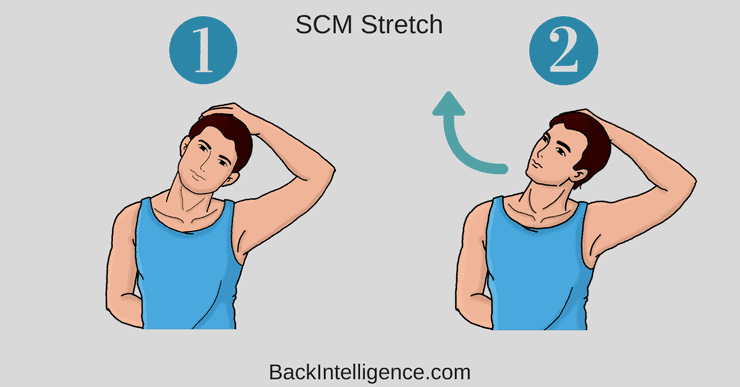 –	Use your right thumb and forefinger to grasp the middle portion of your left SCM muscle until you feel a sensitive or tender spot in the muscle belly. –	Hold this area for 15 seconds. –	Release this area and move your forefinger and thumb up 1 fingerbreadth. –	Repeat holding each area as you move along the muscle until you reach the top of the muscle. –	Repeat on the right SCM. ** If you feel significant pain while doing this technique, lighten up the pressure that you’re using. Also, if you feel a pulse in the middle of your throat when doing this technique, move away from the midline of the neck. Leon’s Notes: Be gentle with this one… The one time I applied too much pressure and this muscle got quite sore the next day. 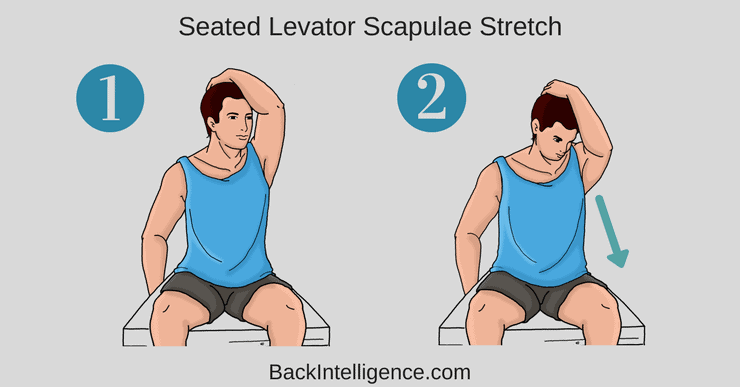 Targeted muscle: Levator scapulae (you’ll want to hit all three trigger points – the first is where the muscle meets the shoulder blade, the next is at the top of the shoulder blade, and the highest one is located up towards the base of your skull). – Begin by palpating with your fingers to locate the trigger points in the area. 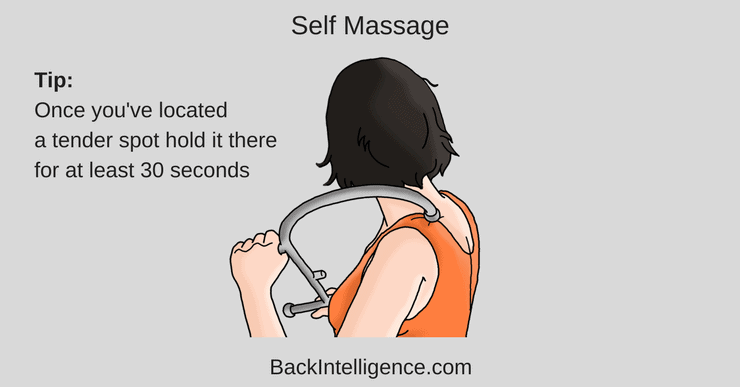 –	Use the Manual massager/Theracane, with both hands, to apply downward pressure to the middle trigger point at the top of your shoulder blade (move around until you find the area of tenderness) and hold for 20 to 60 seconds. –	Move to the trigger point that is located lower in the muscle and apply the same pressure for 20 to 60 seconds. –	Finally, use the straight part of the Theracane to apply pressure to the highest trigger point for 20 to 60 seconds. – Begin by placing two tennis balls inside a sock. –	Lie on your back and position the tennis balls just below the base of your skull, move around until you find a tender area. –	Hold this position for 1 to 2 minutes. – Begin in either a standing or seated position. 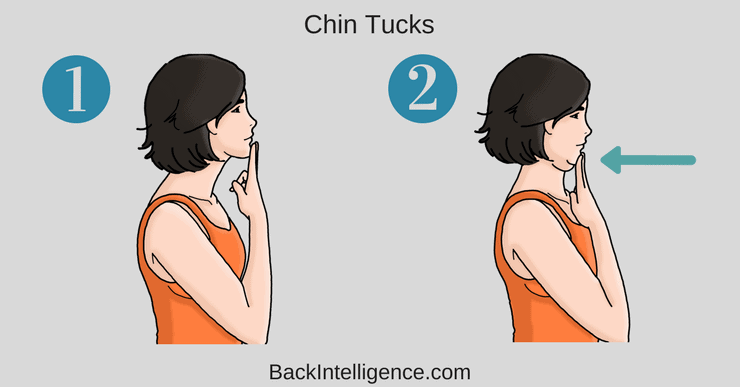 –	Align your chin so that it’s parallel to the floor. –	Pull your head backwards. –	Hold this retracted position for 15 to 20 seconds. 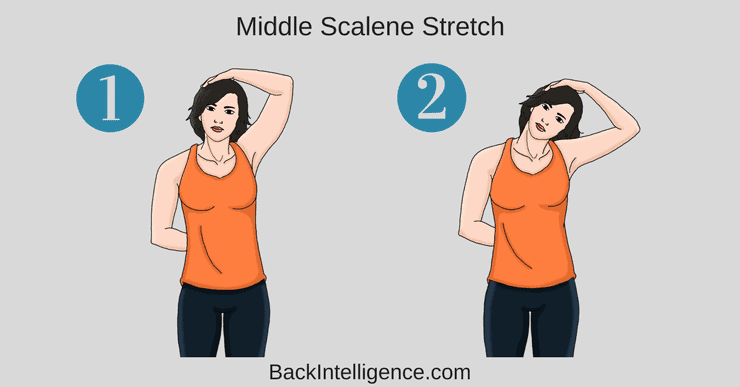 –	Aim for 3 repetitions of this stretch. –	Tilt your head to the right and rotate your chin upwards to the left until you feel a slight stretch on the left side of your neck. –	Repeat on the other side. Targeted muscle: Neck extensor group (splenius capitis, semispinalis capitis, suboccipitals and trapezius). 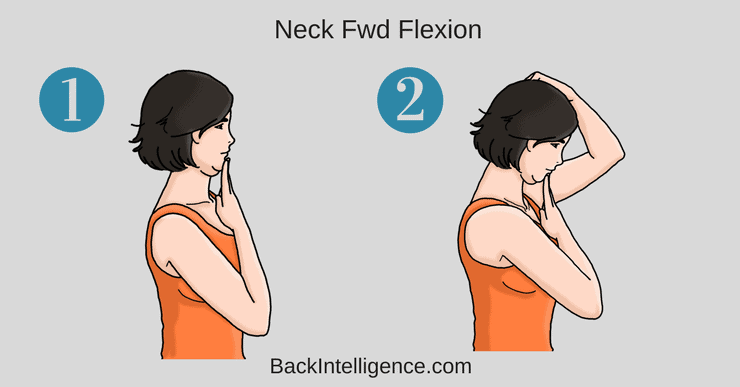 –	Retract your neck and hold your chin back with one hand, and reach your other hand over the top of your head. –	Stabilize your chin as you gently pull your head forward until you feel a slight stretch in the back of your neck. 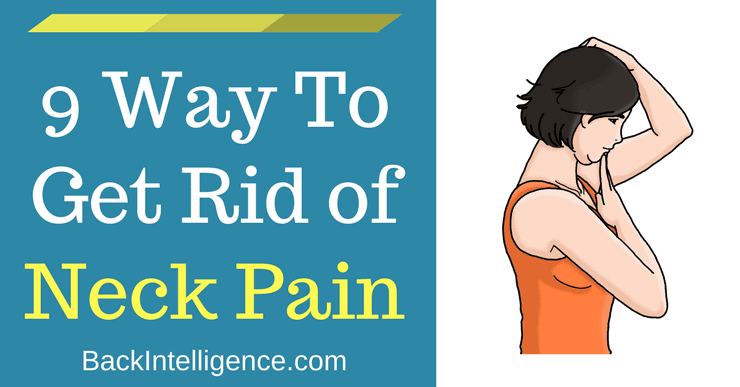 If you suffer from neck pain, you know just how frustrating and debilitating the pain can be. 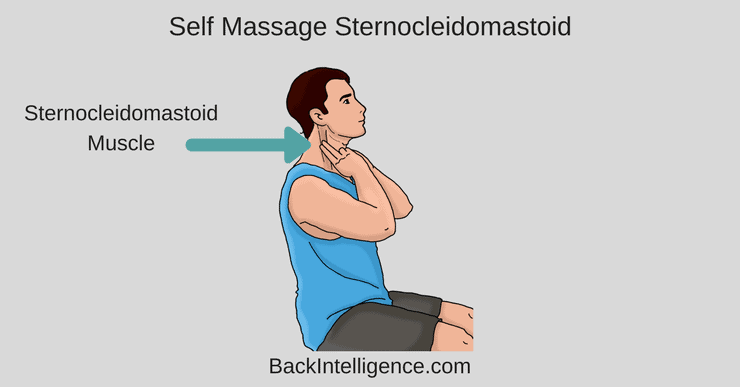 By using ice and heat, and performing self massage techniques and stretching, you can get rid of neck pain and get back to normal relatively quickly.